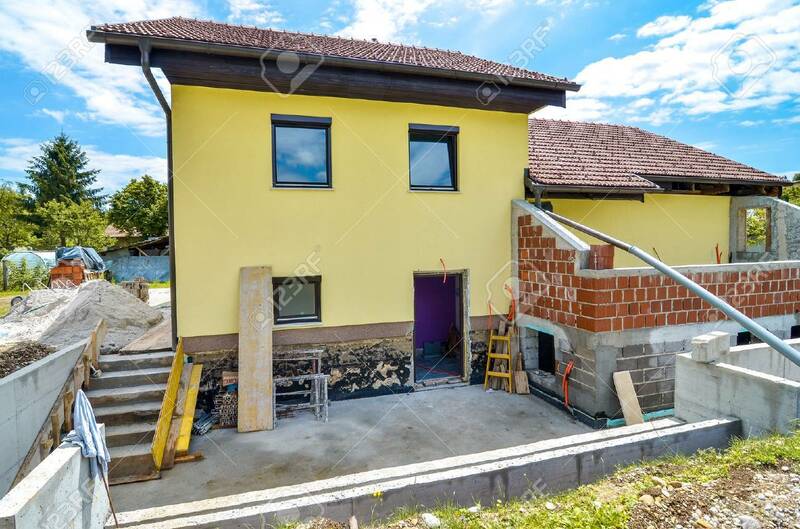 Rebuilding A Family House And Adding An Extension. Setting Up.. Stock Photo, Picture And Royalty Free Image. Image 44242916.